International experts and journalists have resorted to Belgium-bashing and finger-pointing. They call Belgium a “failed state,” our police and intelligence services “incompetent.” But such accusations are overly simplistic, and essentially misplaced. In this article for Politico, Thomas Renard offers some important nuances with regard to Belgium’s counterterrorism policy. This commentary was first published in Politico. Belgium bashing is unfounded and only dilutes our collective sense of responsibility. An attack on Belgium was not a matter of “if” but “when,” experts and officials warned. And still, the tragic events of March 22 came as a shock to us all — the counter-terrorism community included. These were the first large-scale suicide bombings coordinated in our country. Now the question on everyone’s mind is: How could this have happened? It is still too early to give an answer, but we know that we will inevitably discover mistakes were made. In the meantime, international experts and journalists have resorted to Belgium-bashing and finger-pointing. They call Belgium a “failed state,” our police and intelligence services “incompetent.” But such accusations are overly simplistic, and essentially misplaced. Brussels is not the jihadi base they claim, nor is Belgium’s counter-terrorism track record unsuccessful. Belgium can hardly be accused of ignorance or inexperience when it comes to dealing with terrorism. The country has gone through a number of terror waves since the early 1970s, which notably involved far-left terrorist organizations like the Communist Combatant Cells, and nationalist ones like Kurdish groups. According to the Global Terrorism Database, two-thirds of attacks since 1970 took place in the 1970s and 80s, with 100 attacks and a total of 30 victims. In the mid-1980s, the attention of the intelligence services began to turn toward the threat of violent Islamism when political Islam movements started to crop up across Europe. A dedicated unit was set up in the former gendarmerie. In the 1990s, the work of Belgian police and intelligence services was initially focused on so-called “national-Islamist” groups, more specifically the Algerian Armed Islamic Group (GIA), which had created support cells in Belgium in charge of fundraising, propaganda, and recruitment. A much more globalized threat surfaced in Belgium, and in neighboring European countries, a few years later, and kickstarted a new era of counter-terrorism focused on jihadi groups. In 1998, Belgian services conducted a major joint operation with their British and Italian counterparts to dismantle the so-called Mellouk network, an international al Qaeda affiliate. During these years, Belgium engaged in a number of successful counter-terrorism operations, and shared valuable information with foreign services. 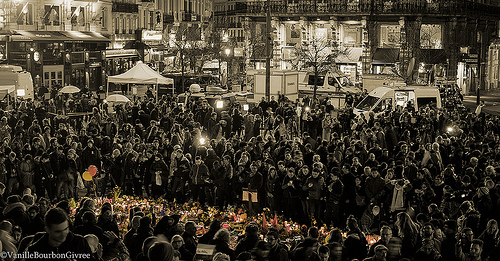 The Islamic State has now replaced al Qaeda as Belgium’s main terrorist threat. Officials raised the alarm about the danger of “foreign fighters” as early as 2012 when the first young people departed for Syria. The chief of intelligence shared his concerns publicly in early 2013, as the number of radicalized young men and women leaving to join the jihad every month started to increase. A year later, these concerns turned into reality. Belgium became the first victim of an attack perpetrated by a “returnee” when French national Mehdi Nemmouche killed four people at the Jewish Museum in Brussels. So Belgium is not new to this. The country has long been aware of the threat of terrorist attacks, including those related to ISIL. Authorities haven’t been naive. Mistakes were made, surely, but some nuance is in order. A lot has been said about Belgium over the past few months: Belgium’s institutional complexity apparently makes it a breeding-ground for terrorism, while Molenbeek is painted as a no-go area. Admittedly, there is some truth here. The many layers of governance — the “institutional lasagne” as it’s known here — complicate efforts to develop a comprehensive counter-terrorism strategy and get in the way of successful implementation. But Belgium is not the only federal state in the world, and a number of practical solutions have been developed to facilitate coordination. Similarly, Belgium’s recent history of terrorism is far from unique in Europe. A handful of Belgian towns and citizens have regularly appeared in the latest terror investigations — but the towns and citizens of other countries have figured prominently in previous investigations too. It now appears increasingly likely the Paris and Brussels attacks were organized by either one cell or two connected cells mostly based in Belgium. But the work of one cell does not make Belgium a base for the entire jihadist movement in Europe. Besides, the cell’s degree of autonomy vis-à-vis ISIL leadership in Syria — the real jihadi base — remains far from clear. Molenbeek has also become the target of heavy international criticism. It is undeniably not Brussels’ most attractive neighborhood. It has a long way to go in terms of socioeconomic development, social cohesion and security. A significant “pocket of radicalization” (85 individuals to date) has taken root there, and is now at the heart of the problem. But again, Molenbeek cannot explain it all: such pockets of extremism exist elsewhere in Europe, not least because radicalization grows through networks of kinship and old friendships, and create a sort of “snowball effect” in particular neighborhoods. Let us not blame the activities of a group of citizens on a neighborhood’s systemic problems. Part of the answer has to do with the failure of Belgium’s prevention policies. With the highest ratio of “foreign fighters” per capita, the authorities clearly gave networks actively involved in radicalization and recruitment too much leeway. Nor was enough effort devoted to prevent young men and women from leaving for Syria. The scope of the threat is unprecedented, a major challenge for a small country like Belgium with limited intelligence and police resources. According to officials, there are approximately 900 individuals on the intelligence services’ watch list. A number of them are still in Syria, while others have returned with unknown intentions (estimated to number 130). Close to a third are considered “radicalized” or “sympathizers,” but have not yet waged jihad. To deal with this threat, Belgium has two intelligence agencies — civilian and military — one overarching intelligence agency, and two specialized police units, in addition to its local police, whose focus is much broader. Although ISIL is now a main priority, these forces also deal with other urgent issues such as other forms of terrorism and extremism, proliferation, organized crime, counter-espionage or cyber-security. Their capabilities are stretched. The exact size of the force is not known to the public, but we can estimate that, excluding local police and administrative staff, the number of people working on the ISIL threat is well below 1,000.The ratio between security services and potential terrorists is therefore roughly of 1:1 — at best. Needless to say, there are not nearly enough people to properly monitor every dangerous individual. Authorities are forced to prioritize and make judgement calls. The likelihood of mistakes multiplies. The current situation is the result of a chronic lack of investment in national security services over the years, despite increases in the immediate aftermath of 9/11 and the Madrid and London bombings. The problem is widely acknowledged, but budgetary restrictions, which were in effect until 2015 due to difficult economic conditions, exacerbated the situation. In this context, and in order to anticipate future threats, the government urgently needs to strengthen its national security services. It’s not a magical solution, but it’s a first step — especially if followed by other measures across the entire counter-terrorism spectrum, notably in terms of prevention. Yes, Belgium’s ability to anticipate and prevent the Brussels attacks was severely limited. But this should not completely overshadow what has been achieved so far. In the aftermath of the attacks against Charlie Hebdo in January 2015, special forces dismantled a terrorist cell in Verviers, in the eastern part of Belgium. Surveillance materials and a thorough investigation showed that its members had been planning an imminent attack. Last year, two major trials against networks related to the radicalization and recruitment of young Belgians led to the condemnation of several key figures — although too many in absentia. The problem in Belgium is not one of competence, but of means and resources. In its narrow focus on Belgium, recent criticism misses three essential points. First, Belgium is far from the sole target of terrorism and, unfortunately, attacks occurred elsewhere. New York, Madrid, London, Paris, but also Ankara, Beirut or Ouagadougou are examples of the fact that when a critical number of trained radicals are determined to carry out an attack, they will most likely find a way to succeed. Second, the current terrorist threat is not constrained to national borders, and blame cannot therefore rest on any one country. In the investigations into the Paris and Brussels attacks, connections have emerged between individuals (mentors, recruiters, other facilitators) and hideouts across Europe, from Germany to Greece and Italy. Europe’s national security is a collective responsibility. International cooperation is indispensable. When terrorists cross borders, so should our counter-terrorism efforts. Some have floated the idea of a European CIA, but what we need are more pragmatic solutions and real police and judicial cooperation at the European level. Cooperation between France and Belgium has intensified and is in fact already quite effective. Efforts should also be increased in the context of the international coalition against ISIL in Iraq and Syria, to which Belgium already contributes modestly. And lastly, the Brussels plot is not just an attack against Belgium. It is an attack against Europe and, more broadly, against our democratic values and societies. And as such it is also proof of our collective failures of prevention and intelligence — not only Belgium’s. Our response should be to stand firm together. Belgium-bashing only serves to create divisions and dilute the sense of responsibility. And what we — collectively — desperately need to do is take responsibility. Thomas Renard is a senior research fellow at the Egmont Institute and an adjunct professor at Vesalius College in Brussels. He is also a counter-terrorism consultant for the Belgian public broadcaster, RTBF.